Tired of inferior recliner chairs that simply don’t make the cut?. I know I was, which is why I searched for countless hours to find what I believe to be the Best Heavy Duty Recliners For Men. Here we list only the recliners suitable for the obese, overweight and heavy people. Including big and tall recliners as many of us large people have extra height as well. Nothing substandard for us bigger folk. It’s time to kick the feet back and relax in style as we review some large capacity recliner chairs. Being a big guy myself, I know how important the right recliner is. Not only for durability and weight capacity. But also for ease of use. Which is why I tend to always recommend recliner-lift chairs for us heavy people. A recliner alone is excellent, but when your larger then normal, getting out of the chair can be a massive struggle. Which is why I love these lift chairs that can tilt forward and basically ease the burden of trying to stand up. So let’s get into it. The Mega Motion company has released a Mega superior lift recliner chair just for us oversized fellas. Ok so not just for us big guys but you get the point. Which is great news because Mega Motion are famous in the mobility industry and specialize in equipment to help specific people who find normal life activities a tad bit harder then the common folk. This particular recliner is rated to a maximum of 500 lbs. That includes the lift feature as well. So to get in and out of the chair much easier all you have to do is press 1 button and your ready for easy sitting. It reclines to 3 different positions including full recline so you can really relax in comfort. The recline feature is powered by an electric motor which is controlled by a handy remote (That can’t get lost because its attached to the recliner). As for comfort and style, I usually prefer fabric chairs, and it’s no different with the Mega Motion Heavy Duty Big Lift Chair. There’s nothing worse then on a hot summers day and your skin sticks to the vinyl or leather sofa. This material chair comes in a variety of colors too, so your not short on choices. I like the amount of cushioning on this recliner, its a good balance between over the top squishy and rock hard. What a recliner chair this beast is, or should I say ‘Stallion’. It’s another heavy duty recliner with a load bearing capacity of 500 lbs. In my opinion, the best big an tall recliners on the current market. Brought to you by Lane Furniture and is proudly made in the USA. There’s so much to love about this recliner chair but the most important factors are what matters most. Firstly this Stallion recliner is suitable for the big and tall people. The high back and head rest ensure that the tall people can easily relax in comfort. In fact when fully reclined, this chair is the same length as a King size mattress which makes it suitable for people up to around 6’8″ in height. Pretty neat. If your height bothers you and you want more options, there’s this article just on tall peoples recliners which may be of further help. When you recline in this chair, the wall saver feature moves the chair forward automatically so that your not banging into your walls. It’s frame is made from all steel including the seat box, which is how it gets it’s heavy duty rating. The chair itself just looks so cosy and comfortable from all the thick padding, even on the foot rest. The Stallion is an all round must have chair for comfort relaxing and watching the flat screen while confidently reclining in style. Big and tall people are in heaven with this recliner. More Then Just A Cat Nap! Heavy duty frame, heavy duty materials, cushioning and pure comfort. This CatNapper 450 lb weight capacity recliner is one chair not to be messed with. It’s a massive chair that will keep you coming back for more. The oversized pockets on the sides are truly huge and perfect for almost anything you can think of. This is one chair you won’t want to get out of in a hurry. 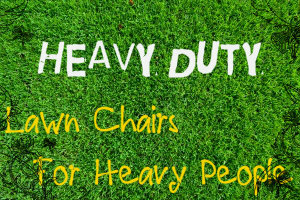 Being a heavy duty lift chair means it’s a good choice for obese and heavy people who struggle to get in and out of normal sofa’s or chairs. All powered by an electric motor that seamlessly can recline to multiple positions. One nice feature on this chair is the back up power. So if you loose electricity for any reason, you won’t be left stuck in an awkward position unable to get out. The back up power comes from 9v batteries. Make sure you take advantage of this feature. Really important. As for comfort levels, its hard to be disappointed with the Omni Catnapper. If you have ever slept in a recliner before or basically use a recliner as a bed, I think you’re in for a treat. Amazing things can happen when you sleep in a lift chair of this caliber. It’s also an acceptable temporary bed for people with bad backs or suffering from surgery. However be sure to consult your Doctor before using any chair as a sleeping apparatus. They should have named this chair the Everyday Napper!. Made in the USA. As we know, weight capacity is not everything. Some of us just have larger rear ends. So a recliner with 500 pounds capacity may be more than enough, but simply not wide enough. Fortunately there are some extra wide recliner options out there for us. One of the widest recliners I’ve come across is the wall saver Hogan by Ashley Furniture which is now on amazon. When I say wide, I mean wide. This recliner is basically the size of a love seat, but designed for single person use. So do keep this in mind when buying to make sure you have sufficient space in your room for this big boys recliner. How Wide Is The Hogan Recliner? This oversized recliner has a total width of 59 inches, which is quite wide when you compare it to some of the other high capacity recliners. While the extra wide seat is big enough for 2, it’s perfect for one just one big man or woman. For the taller people out there, the Hogan is close to 80 inches (About 6’5″) when fully reclined. Note that it doesn’t recline fully flat, but close enough. So taller people can also enjoy the extra room the Hogan offers. The weight capacity is not exactly specified. I have heard rumors that it is technically around the 300lb mark, but I have also heard people over 400 pounds comfortably use this recliner. But overall, its hard to dispute that this is not one of the widest seat recliners available for a single person. In terms of comfort, it’s very well padded and is finished with a plush microfiber material. So no sticking to leather on hot days with the Hogan. Only issue is fitting it through narrow door frames, so do keep this in mind when buying. For those that simply can’t have anything but leather, then I think you will love this heavy duty Lift Chair by Catnapper. Its rated a little less at 350 pounds, but made with the same heavy duty materials to make the above Catnapper. The steel seat box shouldn’t warp out of place which tends to happen with the wooden frame recliners. Flash Furniture are not new campaigners in the big and heavy market, they have a very nice selection of big and tall office chairs. This particular recliner is a microfiber material which is very soft on the skin, and easy to clean. It’s not a rocker, which is fine by me but worth noting for some folks. It’s designed just for the big and tall people according to Flash Furniture. The overall width is 41.5 inches, the overall height is 48 inches and the back rest part is 29″. A pretty comfortable and basic recliner with a 350 Lbs weight capacity which would satisfy many heavier people. My only gripe with this chair is that the lever is on the left side of the chair. This is just a personal dislike as I prefer it on my stronger side. The actually lever is not a plastic or wooden arm, it’s one of those half circle type devices where you put fingers in and push outwards to release the chair. Another great lift chair for overweight people by Mega Motion. The infinite position chair does just what it’s called. Two individual motors allow you to position both the chair and the foot rest to any position imaginable. This is ideal for people to find the correct position that suits there personal needs. The material on the chair is so soft to touch and combined with the adequate cushioning makes a really comfortable chair or temporary bed. This recliner has a heavy duty rating of 325 pounds. So make sure you adhere to the weight restriction ratings. Like it’s bigger Brother, this chair also has the back up power feature for those untimely electricity shut offs. The lift feature also works like a charm for easy access. With quite a few choices for color, I see this recliner being a popular choice among the heavy community. If none of the above recliners really do it for you, what are your options?. To continue the search or to drop your comments below with what you are after. If you decide to keep looking for suitable recliner chairs that meet your needs, there are a few things to consider when searching. While you can often find a bargain online, you don’t get to interact with the chair. This can lead to disappointment when the chair arrives. So if you have the opportunity to view these recliners on a show room floor, go for it. The scariest thing about buying a recliner chair as a big person is breaking the chair due to excessive weight. So naturally we look for the official weight capacity of a recliner. But just like when buying a heavy duty treadmill, you don’t actually know how these recliners are weight tested. Sometimes it’s just a marketing ploy when in fact the chairs haven’t had extensive use. So the safest bet is to look for consumer reviews that are around your weight and compare. Seat Width: Will it be wide enough for you to actually sit in? Seat Depth: If you’re short or tall, the depth of the seat will determine how comfortably you fit in the chair. If the depth is too short, the tall people will have only their backsides planted, while if the depth is too deep, short people won’t be able to have their feet planted on the ground properly. Seat Height: This matters for both tall and short people again. But it’s also important for heavy people as the lower the seat is, the harder it is to pull yourself out of the chair. Especially if its a well padded and plush recliner. The type of recliner you buy is just as important as the weight capacity. The manual more traditional recliners can be hard to operate if you are too large or if you have a disability. So it’s important to check what type of manual action handle the recliner has. Some are wooden levers while others are small inconspicuous inward handles. Of course there are the electric recliner chairs which take the grief out of using a manually operated recliner chair. Just make sure the buttons to operate the recliner are in a convenient location. If they are too far down the side of the chair, it can be very difficult to navigate the body over to push the buttons. If getting in and out of any recliner is too much for you, or if using a manual handle release is too much work, the best bet for a bigger person is to opt for a extra wide power lift chair. These chairs do all the hard work for you. With the push of a button on the remote, you can have the chair raise up so you can sit in it while standing and vice versa.
. it’s a really tough recliner and rated to hold 450 lbs. However if your over 6’1″ tall your feet may slightly hang off the edge in reclined position. As you didn’t stated how tall you are, I believe the Catnapper will suit your needs just beautifully. Let us know what recliner you end up buying. The Lane Stallion recliner is made to hold weights of up to 500 lbs and lays out the length of a king size bed. 79″. If you are looking for a big man lift chair it is hard to beat the Lane Boss Lift chair. It is built to hold weights of up to 450 lbs. It has an option of a 6 motor heat and massage which feel great. It also has a usb plug and 2 power plugs in the arm. A great feature for those of us who are tied to our phones, tablets or laptops. I’m a 355 guy. My choice for the last decade has been the Best Furniture “Beast” product line, specifically the “Savanta” model. They make 4-5 different variations (one is a lift chair). My feet don’t hang off the end, but I have to scoot up and back when getting in and out of the chair. When slid to the back of the seat, my knees don’t even reach the edge of the seat. Well padded and comfortable…but the price is over one thousand dollars. Mine seem to last about 6-7 years before wearing out. Hi I am looking for heavy duty recliner for 450 lbs capacity without lifting, but I am in Ontario, Canada. Can you direct me to the location that carries them? Hi Wendy, I haven’t personally tried this recliner here: Palmdale Power Recliner: http://www.bestbuy.ca/en-CA/product/elements-palmdale-power-recliner-black-upl110105/10358723.aspx?path=3ccb25c69036e59b3e22e63f148fffa4en02. But conveniently it is available in store at Ontario. It’s rated to 300 kgs (About 660 pounds) and looks like a really big recliner. Alternatively you can try Amazon but I’m not sure about the shipping cost’s to Canada. Hope this helps. Thanks for stopping by. Is this chair(660lb palmdale) available in the US? I weigh 500lb and I have the catnapper omni and it has broken multiple times in 3yrs. Hi Brian, it seems to be a Canada thing. However I did manage to find this Palmdale recliner here: http://www.canalesfurnitureusa.com/Palmdale-POWER-RECLINER-BLACK-_p_12695.html but there is no product description to figure out its weight capacity. Been looking for a large mens recliner for over a year. Furniture is the hardest thing to shop for since you really have to sit in it before you buy it. I want a leather big mens recliner with power. Doesn’t need power lift, but power. To independently change the back and legs at different times. I don’t like those 1 button touch models. I’m over 6 feet tall and weigh 365 lb’s. Most recliners I sit in my legs are just too long. I need something large. Any suggestions? I’ve been searching for a big rocker recliner for two years. Everything I have sat in is horrible. Not one has been comfortable. I am 300lb 6’1″ tall. Every chair I sit in my head is above the back headrest so when I put my head back I’m looking at the ceiling. Who puts a TV on the ceiling? And the salesman didn’t actually understand what I was saying. I also don’t want my feet, ankles hanging over the lest rest when extended. That happens all the time and very uncomfortable. It has been such a big problem for me to find a quality chair I may hire someone to actually build one for me. Asher Lazy Boy Leather…as close as they get to perfect. Why arent there any big women chairs? Some of these chairs come in a variety of colors. So if that’s is what you mean by ‘Womens’chairs. Good grief. Color isn’t the issue. It’s hard to find a recliner for a short heavy person. Any suggestions? I’m 5’2″ and the leg spring always breaks on my chairs. Hi Shawna, The power Easy Lift by Mega Motion has a325 pound weight capacity and has a 18.5″ measurement from floor to seat. Other reviews including a 4 ft 9 Woman has had no issues with the height. Hope this helps. They just say Big Man because ladies don’t take to kindly to being called “Big”. Where some guys pride themselves on being a “Big Guy”, suggesting someone take a look at “One of those “Big Girl” recliners would likely get someone killed. Can you imagine being a salesman and offering a “Big Girl” recliner to a woman? This was so well put together. Especially for heavy people who often have a difficulty finding the right fit, when it comes to recliners. I always thought the La-Z-Boy takes care of that population segment but you’ve mentioned some brands I never knew about. I found this article useful. Ditto what Steve says about La-Z-Boy. We bought a big/tall La-Z-Boy recliner, and we’re constantly having to repair the foot/leg rest. We had bought that brand due to past positive experience, but their products are not the good quality they used to be. I will never buy a La-Z-Boy recliner again. They used to be well made from hardwood, but now they’re chipboard on a metal frame; and they don’t hold up well even for someone like me who is overweight but not huge. Now, my son is 6’8″ tall and weighs 537 pounds, he needs a long, heavy-duty chair. I’ve been looking at the Lane Stallion recliner on-line and read your description above, but want to know if you’ve actually used the chairs you describe and have actual experience with them or know people who do. If so, what has your experience been? I have a stallion and I am not happy. It has not been right since I bought it. They replaced the frame and now when I pull up on the left arm it comes up and it feels like its falling apart. They are coming to “fix” it at the end of the month. I hope they do. I hope they come and fix it good for you Timothy. With any product, there’s bound to be a dud. Lets hope they can fix this dud up for you. Thanks for sharing this info on “Big Man” recliners! I have a similar need, however I did not want lift nor a rocker. Some other possibilities. (Note these are manufacturer site links, you must search out a dealer to purchase- Edit Found Recliners On Amazon). Catnapper Malone was my favorite. 400lb rating. Manual or power. Flash Furniture 2 models in several styles. 350lb. I have tried the Catnapper Malone, the Beast Rake and the Beast Troubador. I found all to be very comfortable. Malone and Rake were comparable in comfort and quality feel. The Troubador was the most comfortable, although did not seem to be built as well, reflected in it’s rated capacity of 350lb vs the others 400lb. I was unable to find any of the Flash furniture products for a test sit in my area. I ended up with the Catnapper Malone powered version. Hope this info is helpful to someone. Best of luck in your search! Nay suggestions for a big AND TALL recliner? I’m 6’6″ and weigh 360lbs with a long torso and my head is too high for most recliners. Hi Joseph, what are your thoughts on the ‘Mega Motion’ Recliner. It has a 500 lb capacity. where do I look for a lift recliner cover for a man with incontinence? Need both new recliner and heavy duty waterPROOF cover as he has a lot of accidents. Have you thought about a mattress cover? I’m looking for a lift chair for 500 pounds or more a chase lounge,and a wide seat that is at least three positions. I’m about 6 feet tall (give or take a couple inches with or without shoes on) and knocking on the door of 400 pounds. Is there ANYTHING out there on the market that’s the same yet durable enough to hold my weight comfortably? Hi Garry. Don’t you hate it when you lose a favorite piece of furniture. My office chair is currently falling apart at the seems and it will be a tragic disposal. Anyways, have you had a look at the Mega Motion Easy Comfort lift chair?. It’s fabric which I prefer and has a weight capacity of 500 lbs. Not the cheapest chair going around but sometimes quality is more important than price. Looking for a rocker, power, recliner for my 6″3 280pound husband. What do you recommend?? Without breaking the bank. Hi Bridget. Have you considered the Mega Motion LC-200. It has a weight capacity of 329lbs and is a power recliner. It’s hard not to break the bank when buying an electric recliner which will last and hold heavy weights at the same time. But the LC-200 is moderately priced in my opinion. Hi. I read your article with great interest. I’m currently looking for a recliner. I would love to get a “lay flat” oversized recliner but want something heavy duty to stand up to a great deal of use. I was looking at the Catnapper by Jackson Furniture but they seem to get a lot of negative reviews. Finding a good quality lay flat in other brands that don’t rock, swivel or glide that I can afford has been less than successful. Any suggestions? Hi Karla, unfortunately there isn’t a great range of very high capacity recliners that can fully recline due to the overbalancing of weight. Have you considered the Infinite Position Mega Motion, it has a 325 lb capacity and can recline almost completely flat. Thanks for this site bigman I am always looking for something I can’t find or they don’t make it. I was even looking for a loveseat double lift chair. They make a chair for 700 lb. people but it doesn’t have the chase lounge. I appreciate your site and will comment from time to time I’m sure. Thanks Mike I’m glad you found it useful to have a site dedicated to our needs. Hi! Great article! Looking for something for my 80 year old father. It has to be a long for the foot rest, has to be sturdy and wide as he’s about 320lbs and since he’s a little older, I’d like to try a lift. His recliner now is so hard for him to get the feet down 😞 so he leaves it up. It’s his birthday soon and I’d love to surprise him. Thank you so much! I would be looking seriously at the Mega Motion found above. It is a Lift chair which is perfect for the Elderly and us slightly larger folks. Very comfortable and has a easy to reach controller. My son is 6’7″ & weighs around 360-365lbs. He doesn’t need a lift chair, but can you recommend one that can also accomdate his long legs when reclined? The Beast line of recliners from Best Home Furnishings. Hands down the best “big man” recliner. I know you cannot recommend going over the maximum weight capacity of a power recliner or lift chair, but I’m wondering if anyone has heard anecdotally about folks who weigh 550 lbs. 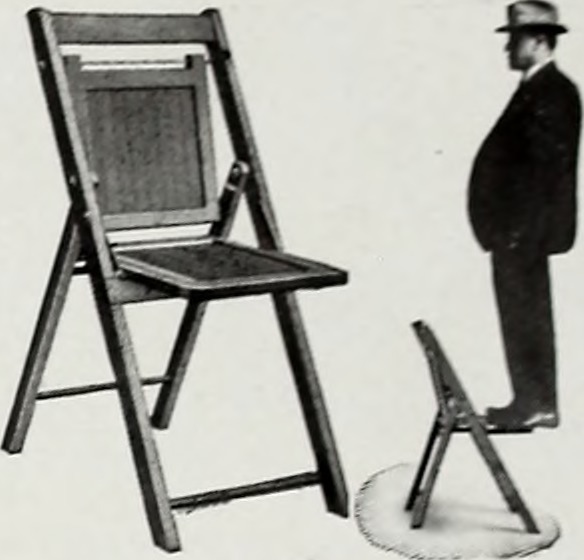 using a chair with a 450 lb. weight limit and whether or not any chair might withstand 550 lbs successfully. Thanks in advance for any insights. Hi, I’m a Disabled Veteran who is 6’2″ ,350 lbs,currently in a Nursing home till October 9th. Then I’ll be moving to an Assisted living facility. I’m looking for a Big man 400lbs, no power lift, massage and heat would be nice but not necessary. I do need a Handle to raise and lower the footrest and if possible for it to be on the left size. Because I’m a Stroke survivor. Not looking for a Top of the line, as I’m on a Very Limited Budget. Hi Rich, Unfortunately, most massage chairs are quite hefty in price. However, the Stallion is a really good recliner chair. After doing some research I found that this chair even has a heat and massage model with a 500 pound weight capacity. But the lever is on the right side unfortunately as manufacturers cater to the majority it would seem. You can check the price on amazon for this massage and heat recliner. I am very impressed reading this post and I can say this article will help who are tall person. Looking for a recliner or oversized chair for 700+lbs now that living xl is gone I haven’t been able to find anything. Do you have any suggestions?